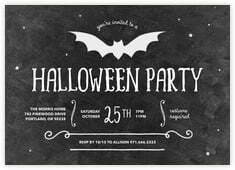 October is the time for ghoulish pumpkins, flickering lanterns, haunting ghosts and scary goblins; bats, black cats, and leaves blowing in the wind. Bring the excitement of Halloween to your party, beginning with the invitation. 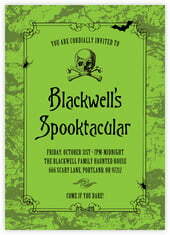 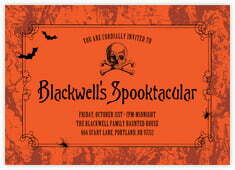 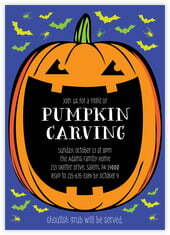 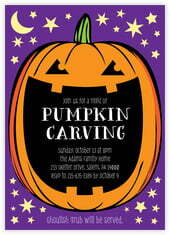 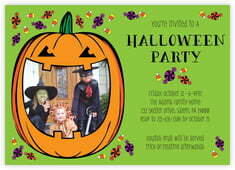 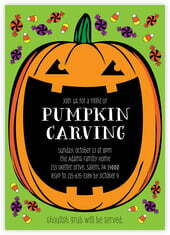 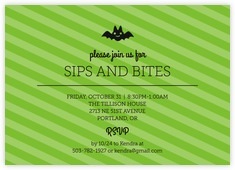 These wonderful Halloween invitations, sometimes scary, sometimes delightful, add a bit of whimsy to your gathering. 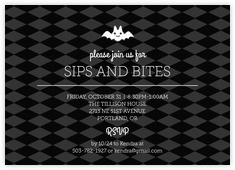 Designed to jump-start the fun with the receipt of the invitation these fun and scary styles really set the mood for your party. 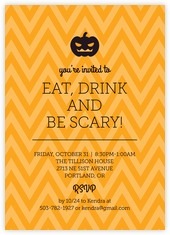 Plan for fun, starting with these Halloween invitations. 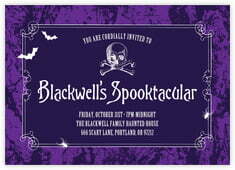 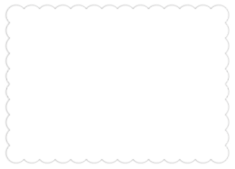 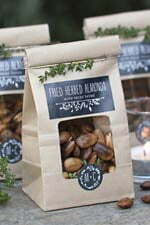 And check out our blog for plenty of ideas for Halloween favors, snacks, drinks, and decorations for the table, the house, and the yard. 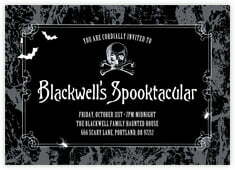 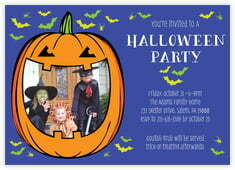 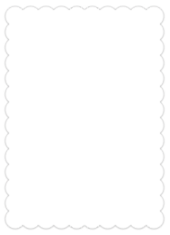 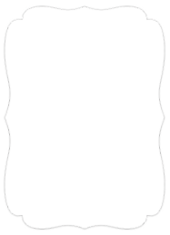 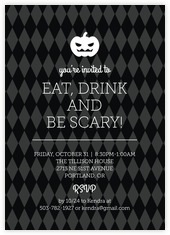 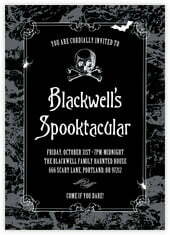 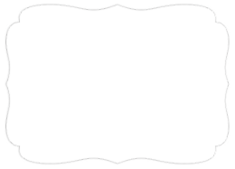 Select a desired Halloween party invitation style below to get started.